I like four zero four pages. I’ve written about it, created some cool ones and continue to have fun with them. Which leads me to my latest creation; the Harbinger Labs 404 page. I played around with few different versions before settling on adding Asteroids to the mix. I love 404 pages and wanted to give anyone who accidentally stumbled across it something to do. 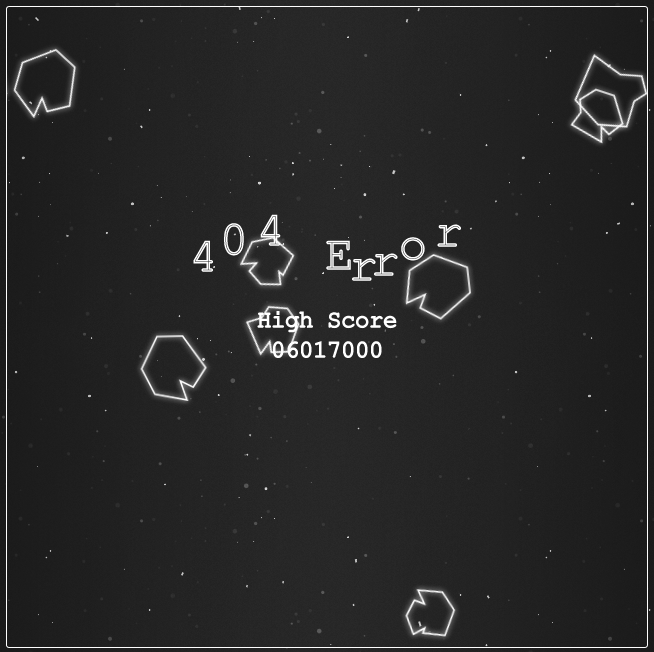 Luckily, I found Kevin Toast’s HTML5 game gallery and was able to configure his version of Asteroids however I wanted. I'm a skier, hiker, biker and runner. In my free time I write about the world of marketing. I also started this company, but who cares.